This newsletter was originally published on April 18, 2018. 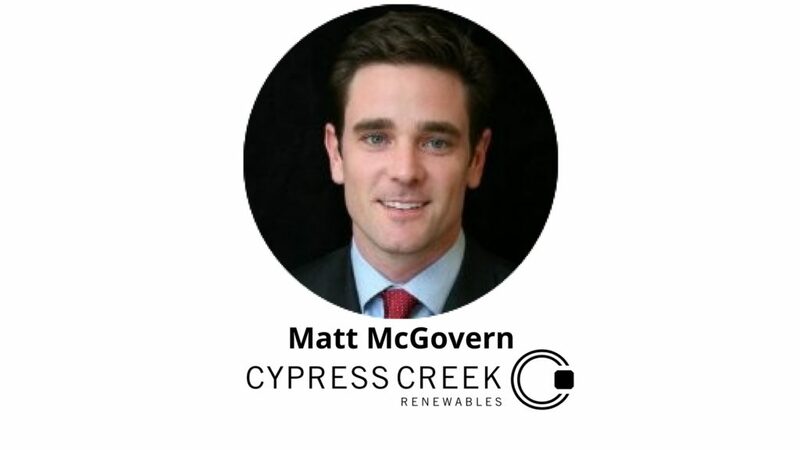 Matt McGovern, co-founder and CEO of Michigan EIBC member company Cypress Creek Renewables, will join Michigan EIBC president Liesl Clark for a mainstage Power Chat on the “Dynamic Michigan Solar Market in a National Context” at the 6th Annual Member Meeting on April 30 in Lansing. Get your tickets today for this exciting event! Sponsorship opportunities are still available. If your company is interested in sponsoring the 6th Annual Member Meeting, please contact Nicole Forward. 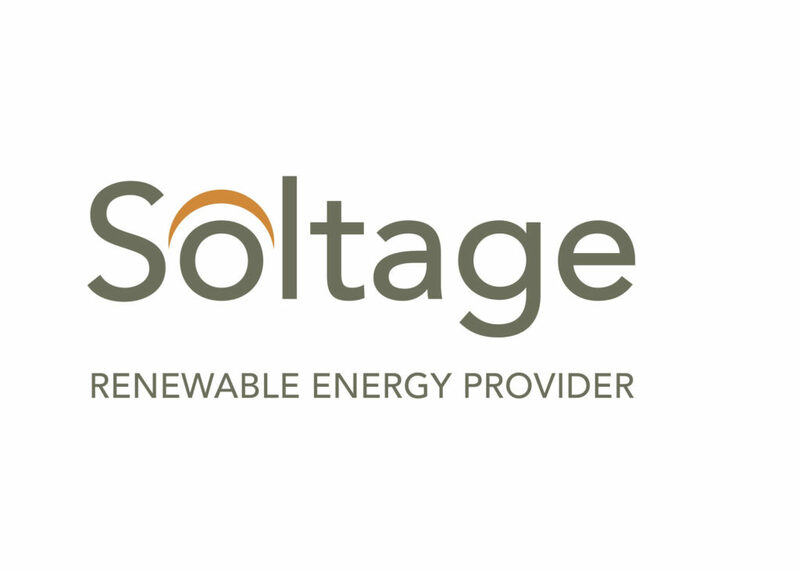 Soltage is a leader in the development, financing, and operation of solar power systems serving commercial, industrial, utility, and municipal customers across the United States. The company has developed more than 50 solar energy projects, with more than 150 MW total distributed generating capacity under management across eight states in the Mid-Atlantic, New England, and Southeast U.S.Soltage specializes in community solar and virtually net metered solutions for commercial, residential, and government offtakers; utility-scale projects for investor-owned utilities; solar energy solutions for corporate clients; and solar “brightfield” projects developed on brownfields or capped landfills. Soltage is backed by a group of investors including Tenaska, has deployed more than $300 million in solar projects since its founding in 2006, and is headquartered in Jersey City, New Jersey. Dickinson Wright is a general practice business law firm dedicated to exceeding client expectations, with more than 450 attorneys in more than 50 practice areas. Headquartered in Detroit and founded in 1878, the firm has eighteen offices in Michigan, Ohio, Kentucky, Tennessee, Nevada, Arizona, Washington, D.C., Toronto, Florida and Texas. The firm is very active in clean energy. Sempra U.S. Gas & Power is a leading developer of clean energy solutions throughout the United States. The company is a subsidiary of Sempra Energy, a Fortune 500 energy holding company based in San Diego, California. Sempra U.S. Gas & Power is the developer, owner and future operator of Apple Blossom Wind, a 78-megawatt wind facility in Huron County. The company has more than 2,000 megawatts of wind and solar generation in the United States. The Michigan Public Service Commission announced Thursday it has begun a process for public input on the five-year distribution plans for three electric utilities. For the third year in a row, Michigan officials are asking for $4 million in public funding to support an oil and gas oversight program that critics call an ongoing industry subsidy. Northern Michigan residents say the risk of a leak or rupture from the aging Line 5 pipeline, owned by Enbridge, is a growing threat to the region. In a Detroit Free Press open editorial, former Michigan Public Service Commissioner Robert Nelson says DTE Energy’s gas plant proposal should be rejected. Mayors are challenging DTE Energy’s proposal for a billion-dollar gas plant. The Monroe City Council expects a $6 million shortfall due to the impending closure of a DTE power plant. A guest columnist in The Morning Sun says that Isabella County is on the cusp of big changes toward renewable energy. ITS America’s annual meeting will be held at the Cobo Center in Detroit, with keynote speaker Mark Reuss of General Motors. Automotive researchers in Michigan look to maximize the environmental benefits of electric and autonomous vehicles. The Detroit Zoo has installed a 16-by-16-foot flower-shaped solar energy system in another move toward environmental sustainability. Consumers Energy awarded the Pontiac School District with $147,973 for energy savings through renovations including new lighting, heating and cooling systems. University of Michigan’s Sustainability Progress Report shows progress toward 2025 goals. Fourteen federal agencies signed an agreement to set a goal of a two-year deadline for all federal environmental reviews of major infrastructure projects. Alaska Senator Lisa Murkowski and Washington Senator Maria Cantwell are still pushing a bipartisan bill that would be the first major U.S. energy policy update in a decade. Energy Secretary Rick Perry traveled to India to promote U.S. natural gas exports and discuss an energy partnership between the nations. Energy Secretary Rick Perry indicates he is unlikely to declare an emergency to keep FirstEnergy’s struggling coal and nuclear plants running. The U.S. Senate confirmed former coal lobbyist Andrew Wheeler as deputy EPA administrator, putting him first in line to replace Scott Pruitt. Energy Secretary Rick Perry tells a House committee that he’s intent on taking action to support struggling coal and nuclear plants, saying their closure would threaten national security. Two members appointed to the EPA’s Science Advisory Board received funding from the American Petroleum Institute for research used to justify weakening auto efficiency rules. The oil and gas industry opposes FirstEnergy’s request for government assistance to keep its struggling coal and nuclear plants running. Power plant owners are also urging the Trump administration not to approve the plea, saying it would create an unfair competitive advantage. 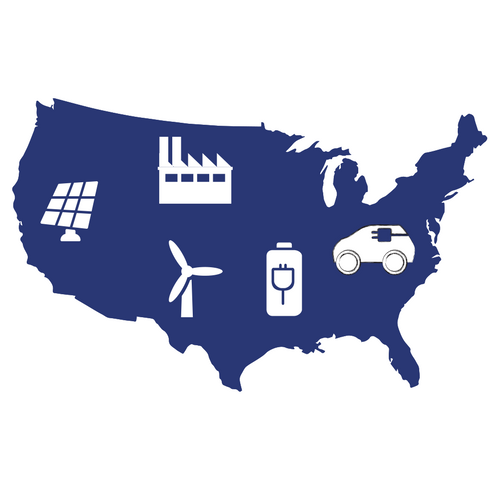 The Department of Energy announced a plan to partner with manufacturers to improve energy efficiency at plants around the country. Utilities and grid operators told a FERC panel they need better real-time data to manage distributed energy resources on the grid. The Minnesota state legislature is considering legislation that would require utilities to first consider renewable energy whenever replacing fossil fuel generation. An Xcel Energy pilot program in Minnesota involves home “smart” chargers that don’t require customers to install a second electrical meter. State lawmakers in New Jersey pass a bill requiring utilities to get 50% of their electricity from renewable sources by 2030. Duke University indefinitely delayed a proposed controversial gas power plant on campus, shifting its focus to biogas to meet its climate change goal. Michigan EIBC member company Generate Capital’s CEO Jigar Shah says Minnesota and Illinois are among states positioned to be clean energy leaders. Apple’s entire business is now being powered with clean energy. 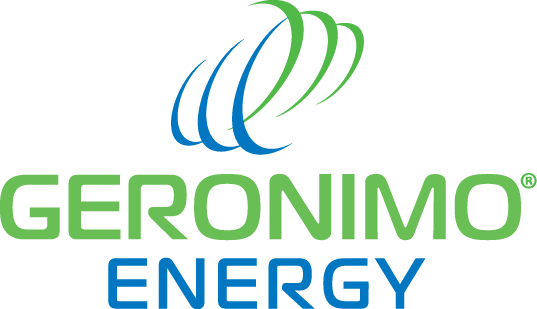 Ameren is partnering with researchers and the private sector on a business incubator focused on smart grid technology. 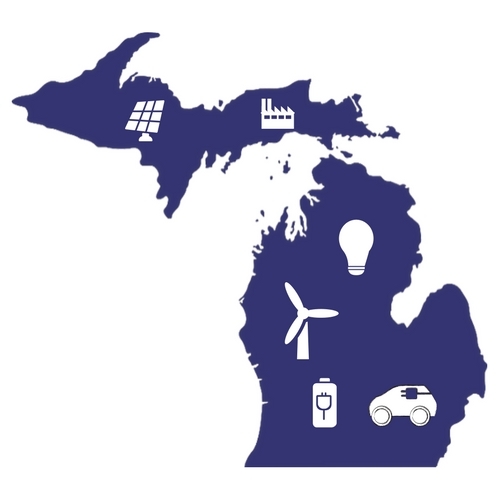 You’re invited to a Michigan Energy Workshop on Wednesday, April 25 from 9am to 12:00pm at the Governmental Center Training Room in Traverse City. This workshop is hosted by the City of Traverse City and SEEDS. Learn more and register here. Michigan EIBC’s 6th Annual Member Meeting is scheduled for April 30. Register here. Michigan EIBC’s member-only Lobby Day is May 1. Register here. NextEnergy invites you to the Lites Summit in Detroit on Tuesday, May 15. The event includes an optional off-site tour with transportation to the IBEW Local 58 Zero Net Energy Center in Corktown. Register here. 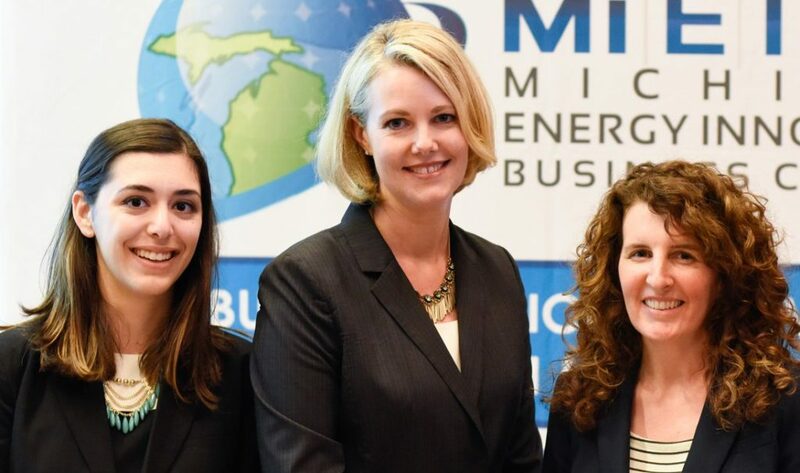 Michigan EIBC will host a Michigan Energy Forum on energy efficiency and lighting on June 11 at member company CLEAResult’s office in Detroit. Stay tuned for details! Join solar & clean energy experts at the 5th annual Midwest Solar Expo & Smart Energy Symposium, April 30-May 2 in Minneapolis, MN. Exhibition, networking, solar farm visit, startup showcase, training, more. Register today! Join Greentech Media for the 11th Solar Summit on May 1-2. Get 15% off with code ENN15. EUCI invites you to the 2018 New York REV Summit, May 1-2 in Brooklyn, New York. Register here. AWEA invites you to the Powering Forward conference May 7-10 in Chicago, Illinois. The conference, entitled WINDPOWER, will create an opportunity for the industry comes together to plan for the future and keep this success story growing. Register here. EUCI invites you to “Blockchain Technology for the Energy Sector” May 8-9 in Houston, Texas. Register here. EUCI invites you to the 2018 Residential Demand Charges Conference, May 15-16 in Nashville, Tennessee. Register here. EUCI invites you to the 2018 Western Transmission Summit: From Expansion to Modernization – Addressing the Changing Landscape of Transmission Planning and Investment. This event will be June 11-12 in Denver, Colorado. Register here. ARPA-E has joined NASA to launch a new NASA iTech challenge, a competition inviting the nation’s top entrepreneurs and researchers to showcase their ideas for transformative energy concepts. Inventors and entrepreneurs can submit a five-page white paper on their concept on the NASA iTech website through April 29. A panel of subject matter experts from NASA and ARPA-E will review ideas submitted and select the top 10 finalists based on their relevance and potential impact. The Rural Energy for America Program has published a Notice of Solicitation of Applications for Federal Fiscal Year 2018 in the Federal Register. The application templates and forms are available at USDA Rural Development Offices online until April 30. The Michigan to Montana (I-94) Alternative Fuels Corridor project is currently seeking project partners. Organizations that are interested in being considered for receiving federal funds should prepare a short (i.e. approximately one to three page) project description that includes the project details, projected fuel use, projected project budget (including both requested federal funds and organization supplied matching funds), and estimated timeline for completing the project. Please submit the project description to your local Clean Cities Coordinator or GTI at ted.barnes@gastechnology.org. The deadline to submit a proposal is May 31, with partner selections starting in June 2018. 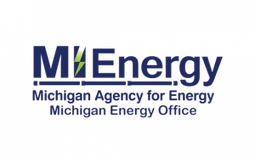 The Michigan Energy Office (MEO) today said communities have until May 31 to take the Michigan Green Communities (MGC) Challenge, a contest that measures communities’ progress toward meeting their current and future energy needs.